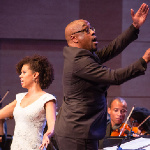 Britain’s first black and minority ethnic (BME) orchestra Chineke! Orchestra joined by the resident Doelen Ensemble and musicians and students from Codarts University for the Arts, opened Classical:NEXT for 2017. 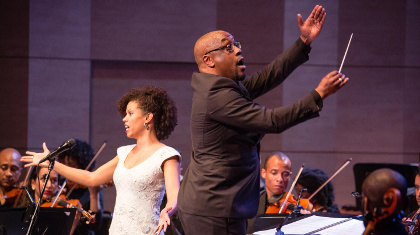 The concert marked the orchestra’s mainland European debut and featured a selection of pieces by contemporary composers Sarah Kirkland Snider and Errollyn Wallen, as well as Edward Elgar’s Serenade for Strings.